Lutherans For Life | An Answer to 20 Years of Prayer! An Answer to 20 Years of Prayer! In 1999, Planned Parenthood (PP) opened its Heartland Clinic in Bettendorf, Iowa. As in many of PP’s activities, the opening of this abortion clinic was shielded from the public until it was too late to stop it. So, every day two women from the local Life and Family Coalition parked a trailer on the property across the street from the clinic, protesting and encouraging women to give life to their babies. As a result of their efforts, the Women’s Choice Center (WCC) opened its doors on July 2, 2002, offering pregnancy tests, counseling, and material goods. 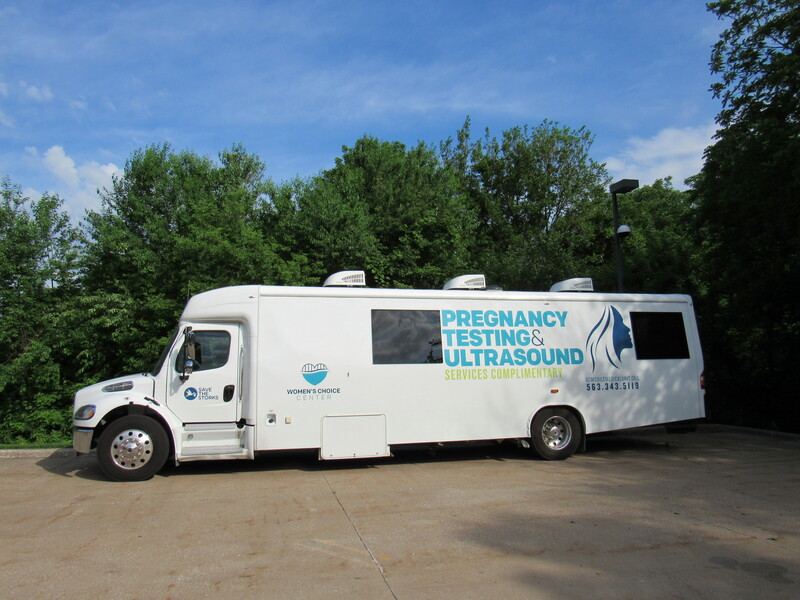 Throughout subsequent years, they expanded their services to include ultrasound, STD testing, and perinatal hospice support, as well as a mobile medical unit that visits seven locations in the Quad Cities. The number of women coming for help continued to expand, with WCC serving 1,500 women in 2017. However, their main goal was always to see Heartland Planned Parenthood located across the street close their doors—the original goal of the Life and Family Coalition. After almost 20 years of prayers, God worked one of His miracles. The Iowa legislature succeeded in removing Medicaid and state funding from Planned Parenthood. In response, PP closed four Iowa clinics, Heartland being one of them. After approximately 10,000 abortions had been performed in that building, a plan for its redemption was conceived by WCC that involved its purchase and conversion into a pro-life and pro-family ministry. Knowing that PP would never sell to them directly, WCC used an intermediary to purchase the building for one million dollars—three times less than what PP had paid for its construction. A local priest was called to perform exorcisms in the killing rooms, which have been gutted and turned into counseling and ultrasound rooms. One half of the 8,500 square foot building will be devoted to the work of WCC with two ultrasound rooms, two counseling rooms, several exam rooms, and space for offices, as well as Chloe’s Closet which gives material support to pregnant women and their families. The mobile unit will continue supplying services around the community. The other half of the building will be devoted to a pro-life, pro-family, faith-based family medical practice that will offer, in addition to OB-GYN services through 28 weeks of pregnancy, mental health services and fertility treatment, including NaPro technology. A Christian daycare organization will be moving into the former WCC building and will offer daycare to about 50 children from six weeks to 13 years of age. Pastor Keith Piotter and the members of Our Savior Lutheran Church in Bettendorf have been involved in the work of WCC for many years. They have contributed financial support and countless volunteer hours, participated in prayer vigils and celebrations, and partnered with WCC in facility sharing. Just recently, the church sponsored a “Legacy Donor Thank You Banquet” at the church. Pastor Piotter has been on the WCC Board of Directors for four years and has participated in all of the major decisions to confront PP and convert their building into a vibrant pro-life ministry that is saving lives.